In spite of the Internet being 20 years old, digital marketing for real estate in the Philippines is not matured, but poised to hit critical mass in the next 3 years. While the global competition for real estate internet marketing is particularly fierce; in the Philippines online real estate marketing is only beginning to approach critical mass. If you don’t think you have a budget for real estate marketing services today, wait till you see what it will cost 3 years from now. What does this mean for your real estate business? It means a first mover advantage. The internet does not distinguish between big and small players in the industry. It only distinguishes the ones that provide the best information to users. This is what we are good at: looking at the digital landscape and finding your first mover advantage against the competition. And we have a proven track record of executing some of the best digital marketing for real estate in the Philippines, both in mass markets and for high-end target markets. SEO for real estate is not highly competitive in the Philippines – yet. But it will be very soon. And now is the time to be ahead of the pack. Having a website is your critical first step, but search engine optimization for your real estate website makes it accessible to the thousands of related searches for real estate (and related terms) every month. What does a search for “house for sale” in Google.com.ph yield? Several ads and internal unoptimized pages, listings and a dynamically generated page. What does this do for your real estate SEO dreams? It means the first page of search is still fertile for early players. Creating search engine optimization campaigns for real estate companies is probably second nature to us. We understand the quality signals that Search engines like Google use to make your brand relevant to users. We make sure that the content of your pages matches the purpose of search users. We do this by mapping keywords to specific engaging pages in your website. Search engines today still require signals or “metadata” to help them understand the context of your pages. This is why we don’t just optimize your content, but your meta titles, meta descriptions, alt tags and schema to help search engines know you are a relevant result for real estate searches. 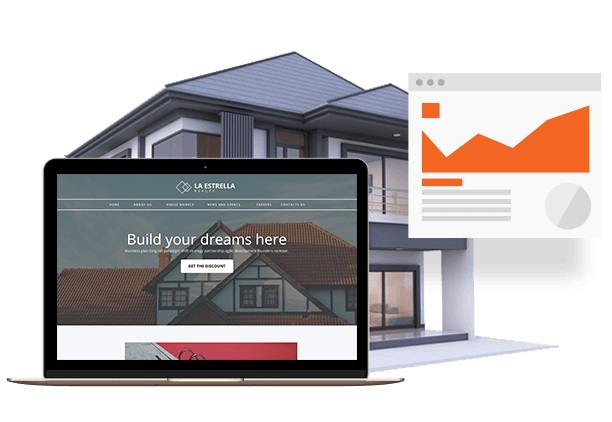 In order to maximize the effort for your real estate SEO campaign, we also make pages support each other by linking to each other as references whenever the content calls for it. 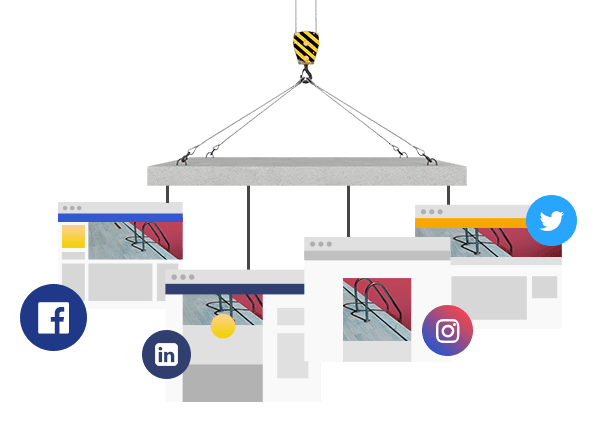 We avoid doing traditional link building for real estate companies, because quite frankly in the Philippines, it isn’t all that necessary… yet. But your presence on the web can’t be limited to your site alone. So we build other online channels where your brand can be visible to your potential customers. We create optimized Facebook fan pages, claim your Google My Business listing, create a business YouTube channel for you, and other channels where your audience may be present. These channels all point back to your website so that you can create a seamless experience from channel to website to sale. The fact that this creates a nice digital footprint for you thus making you more relevant for “real estate” SEO-wise is a bonus! This is really the more boring part of SEO that you should leave to the geeks. That’s us! We enjoy evaluating text robot files, xml sitemaps, server errors, silo structures, redirects and all the other technical stuff so that you can focus on what matters – taking care of your clients and growing your business. If there is one marketing channel for real estate that the Philippines should be leading the way, it’s social media. The Philippines is ranked first in the world in time spent on social media but marketing efforts don’t match the demand for content. Realtors and brokers in other parts of the world have realized social media for the marketing opportunity that it is. For realtors and brokers, social media provides the ideal way to market. Quick peeks into the gorgeous properties you’re representing via targeted text, stunning images and even video tours – and it’s shareable. We love our social media in the Philippines. We also love our condos. The dozens of new condos being built in the metro are proof. But you don’t have to pass out fliers to reach your audience. Go where they are and that means social media. Websites are a great way to get your message across but in today’s fast-paced society, people rarely read an entire article – but they do have time to scroll through a Facebook feed for hours. All you need to capture their attention is a few strategically worded lines and you’re on your way to an appointment. The Filipino diaspora is sizeable and for many, investing back home is very attractive. Especially for those that still have family living in the Philippines. A social media marketing strategy for real estate can reach an audience anywhere in the world. Expand your clientele base with social media. Websites for real estate in Philippine market are primarily dominated by small players. Independent entrepreneurs and agents that leverage the web to their advantage. But having a real estate website is not enough though it is a vital first step. We have created dozens of websites for real estate over the years. Sites that are mobile responsive, fast, beautiful and visible to users. Regardless of device, your website will leave an impression. We help craft your website’s content to be valuable to users so that your potential users find what they are looking for. Our web designs don’t just carry original text, but beautiful imagery and rich media as well. This makes your website sticky and memorable to your potential customers and existing users. 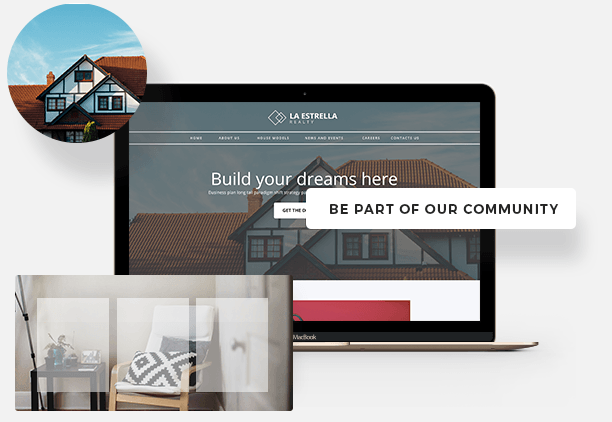 But most importantly, we build real estate websites that users will want to interact with and can capture leads so that you can nurture them and be there when they are ready to buy. We pride ourselves on technical expertise. We know how to make them fast. Faster than the competition. The websites we build are social media ready, Youtube integration compatible, user engaging and Website Analytics integrated. The prevalent use of mobile devices has increased the trust in Google ads from 23% to a whopping 40%. More than that, You can now use 2 channels for marketing your real estate business on Adwords: The Google Search Network, and the Google Display Network. The cost for Real Estate PPC advertising in the Philippines is still a small fraction of what it is in more developed countries. Our Adwords campaign managers are Google Adwords Certified pros. We’ve run dozens of PPC Campaigns for real estate both locally and internationally. Our secret: constant training, certification, and use of the best tools and practices. The practices and methodology we use on your real estate PPC campaign is the same methodology we use for our brand. 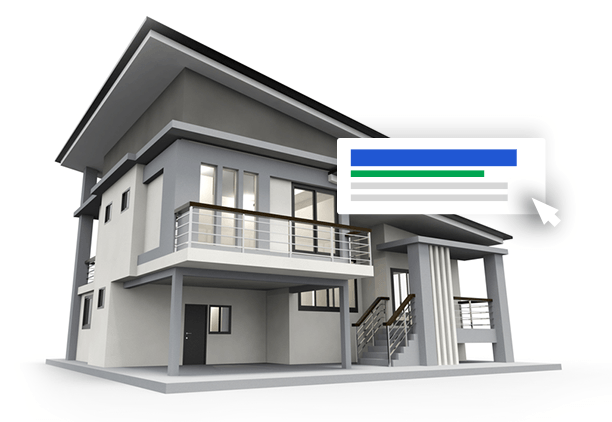 Better PPC Campaigns for Real Estate – PERIOD! Adwords is a progress game, not a perfection game. There is no perfect CTR, impression, CPA or ROAS. There is only relative improvement month over month by helping you create better and better ad copies, landing pages and performance tracking. We believe in brand stickiness and remarketing on the Google Display Network allows you to be there when your clients are ready to buy. Need to Scale Your Real Estate Business?